Think of the football itself as your relationship with God stitched together with faith, hope and love. With every situation you encounter, you must keep your hold on these three to move forward. When you lose your grip, you go on defense until you regain control. To keep from fumbling, you must control your thoughts, words and deeds. These analogies are not perfect, but if they help you get a better feel for the Christian life, they have served their purpose. Figurative analogies draw out similarities between things that are different in fundamental ways. For example, Christians must become like children to enter the kingdom of heaven (Matthew 18:3), but there are some ways you should not be childlike. 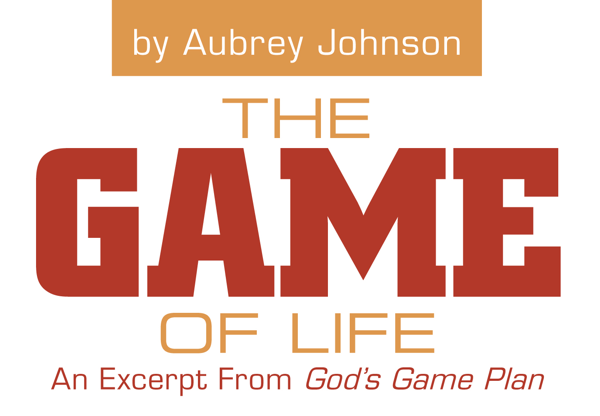 Likewise, life is more than a game, and God is more than a coach; so do not press these analogies too far. Within proper limits, however, they are useful illustrations of valuable spiritual truths. With this in mind, it is time to take the field. When you become a Christian, you enter the arena of faith, and your struggle against sin begins in earnest. God told Cain: “Sin lies at the door. And its desire is for you, but you should rule over it” (Genesis 4:7). 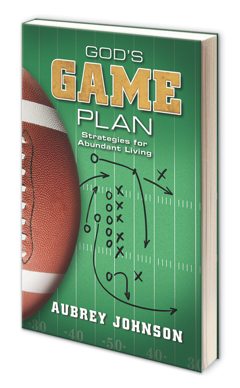 The New American Standard Bible says, “You must master it.” Sin interferes with God’s master plan for your life. To reach your potential, you must face your sins and overcome them through faith in Christ (1 John 5:4). Satan will never forfeit the game and walk away, but he can be beaten (4:4). When you trust and obey God, the devil loses ground. Jesus never promised His people a trouble-free life. In fact, Scripture is filled with assurances that life will not be easy. Job said, “Man who is born of woman is few of days and full of trouble” (Job 14:1 nkjv). Paul preached that it is through “many tribulations” you enter the kingdom of God (Acts 14:22) and that all who “live godly in Christ Jesus will suffer persecution” (2 Timothy 3:12). Jesus said, “Sufficient for the day is its own trouble” (Matthew 6:34). Prophets were martyred, John the Baptist was beheaded, Paul suffered a thorn in the flesh, and God’s Son was crucified. The fact is you will get sick. People you love will die. You are subject to accidents, recessions, swine flu, and eventually, you will die. Before that day comes, you will get your heart broken more times than you want to remember. However, God promises to provide what you need to overcome adversity and triumph over it gloriously (Romans 8:37). The abundant life is not an easy life, an affluent life, or a trouble-free life. It is a life of honor, courage, love and usefulness in the face of hardship and heartache. Abundant living occurs when you have the confidence and capacity to meet life’s demands. Paul said, “I can do all things through Christ who strengthens me” (Philippians 4:13). “All things” does not refer to technical knowledge or skills. You cannot perform surgery or play the violin the moment you are baptized, but you are on a path to increased emotional and relational stability. You can get along better with others thanks to the fruit of the Spirit. You can set and reach meaningful goals because you understand the law of sowing and reaping. You can make the most of your God-given potential because faith frees you from fear, pride and worry. Jesus empowers you to live a peaceful, joyful, fruitful life. You are able to meet life’s demands because a Christian mindset allows you not only to cope but to flourish. Whatever life throws at you, you know you can handle it. In Philippians, Paul was talking about the spiritual strength Christ affords you to fully engage life (2 Timothy 1:7). To live abundantly is to constantly learn, adjust and grow to become the best possible you. The more you trust and obey Jesus, the holier and better you become. Abundant living is not an impossible dream. For faithful Christians, it is an everyday reality. Equipped with faith, they face problems rather than hide from them. Outfitted with courage, they embrace responsibilities rather than run from them. Simply put, an abundant life is a God-honoring life. Aubrey Johnson preaches for the Peachtree City Church of Christ in Peachtree City, Ga. He is the author of several books, including The Seed Principle and The Barnabas Factor. He may be reached at aubreyhjohnson@icloud.com.